Does Lululemon Shun Plus-Size Shoppers? Do you ever find yourself walking past a Lululemon and suddenly getting cold chills? There's something about the yoga and lifestyle apparel store that's just plain weird. First off, any store that sells an unflattering cowl-neck sweatshirts with the copy "It's okay to hug yourself" for $98 has gotta be hitting the sauce. But overpriced workout wear is not the only bizarre trade in which Lululemon specializes. They also quote Ayn Rand novels on their bags, and, apparently, shun plus-size shoppers. Former Lululemon employee Elizabeth Licorish told the Huffington Post that snubbing plus-size shoppers is "key to Lululemon's Strategy." Cool. Sound like a pretty smart strategy, especially when you consider that plus-sized customers are predicted to spend about $332 million on athletic wear this year alone. But, hey, if there's anyone who knows about business, it's a company whose growth is rapidly slowing down. Licorish explained that during her time at Lululemon she saw larger sizes (Lululemon only carries up to a size 12) being "relegated to a separate area in the back of the store, left clumped and unfolded under at able," while "most of the merchandise was presented out on the floor, hung on the walls, or folded neatly in cabinets." The larger sizes were rarely restocked, and were often only available in old designs. So, does that include the hideous cowl-neck sweatshirt or no? If you think this was just an accident (Hey, maybe it was only the Lululemon store that Licorish works at that engaged in shameful behavior! ), then consider a 2005 interview from the Calgary Herald with Chip Wilson, Lululemon founder and former chief executive officer. Wilson said that it takes 30 percent more fabric to create plus-size clothes, and that he wouldn't want to charge more for plus-sized clothing that is already overpriced because "plus-sized people are sensitive." Thanks, Chip! Nothing says "I care about a group of people" like generalizing that group of people as a bunch of overly sensitive whiners. Lululemon's treatment of plus-size clothing and Wilson's comments point to a larger issue: People wrongly believing that plus-size women aren't interested in their health. 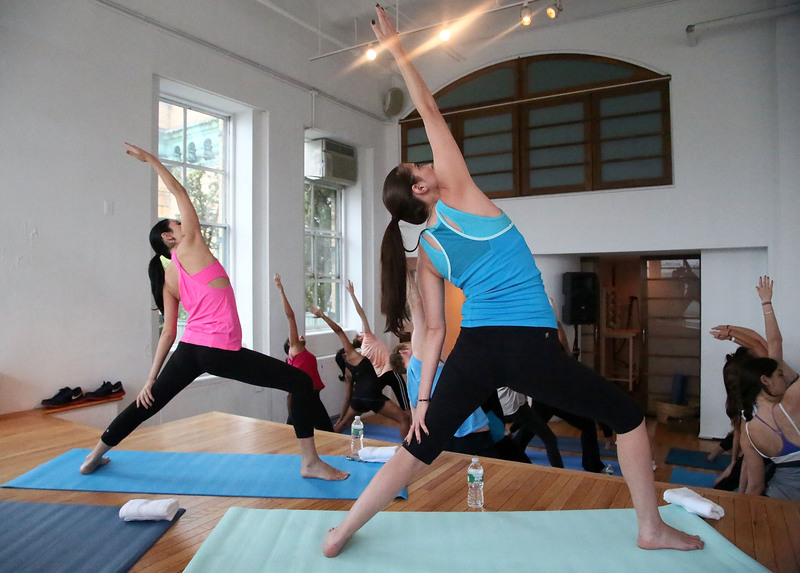 Lululemon is the kind of store that doesn't just sell pants and tops; they sell a lifestyle. In theory, that lifestyle should be a healthy one, filled with green juices, and yoga in the park, kale salads, and whatever it is that people deeply committed to a healthy lifestyle do (y'all like quinoa, yeah?). What Lululemon has actually created is an exclusive club where only thin women are allowed, even though women of all sizes are interested in their health.